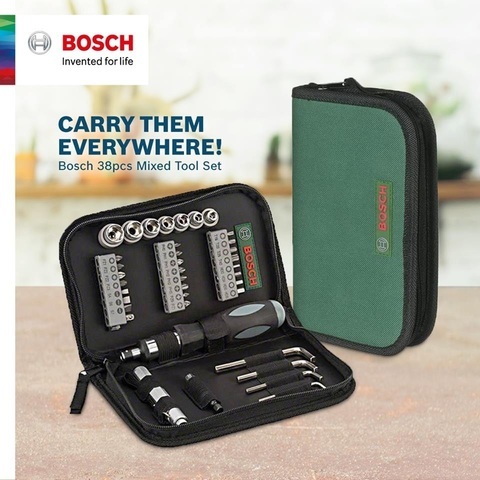 Bosch 38pcs Screwdriver Bit Mixed Tool Set..
.24 durable screwdriver bits in 25 mm length for all standard screw types and sizes. .2 magnetic universal holders for fast bit changes and a reliable screw hold in the bit. 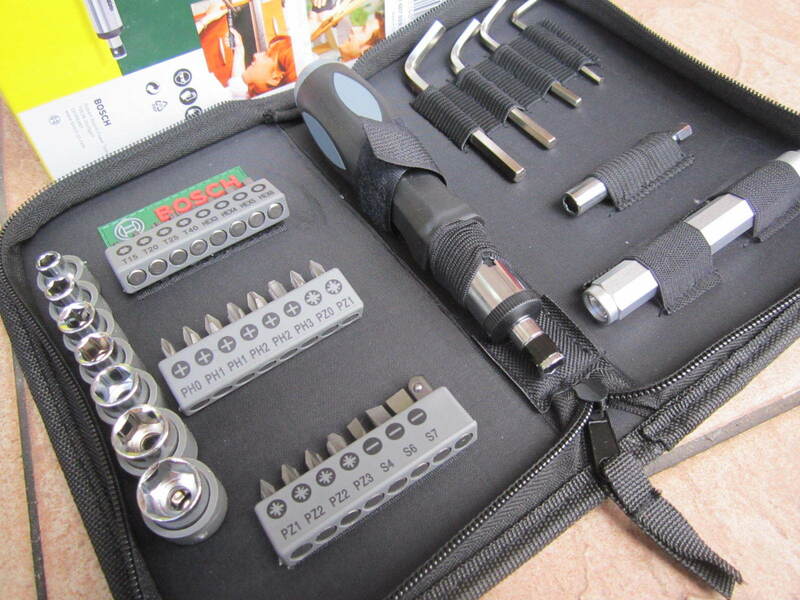 .8 nutsetters for hexagon-head screws. 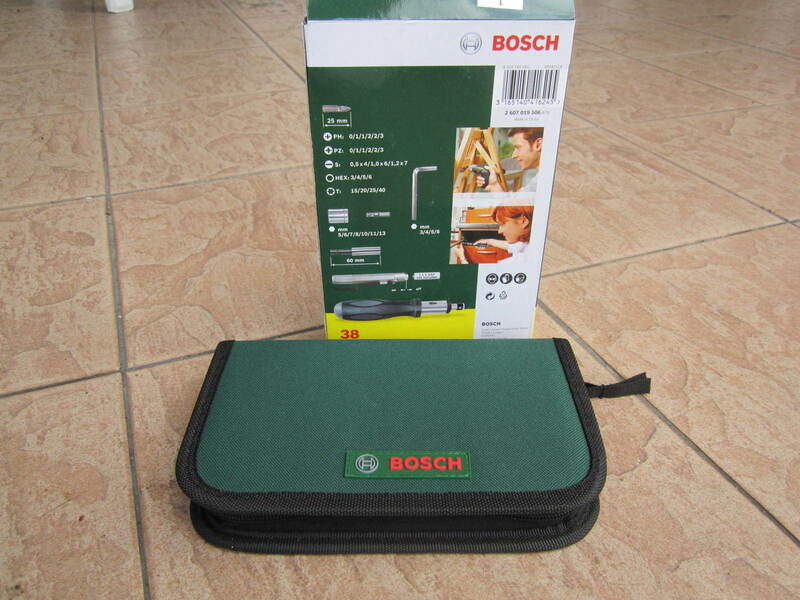 .All accessories are stored neatly and practically in the handy soft bag. 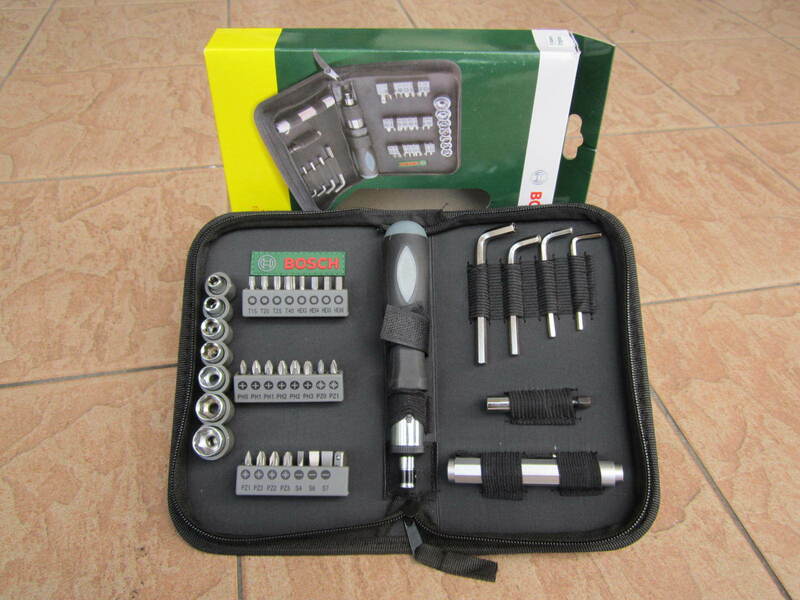 .Suitable for all common power tool brands and manual screwdrivers. .Equipped to handle virtually any project, a comprehensive screwdriver set for the keen DIY enthusiast. 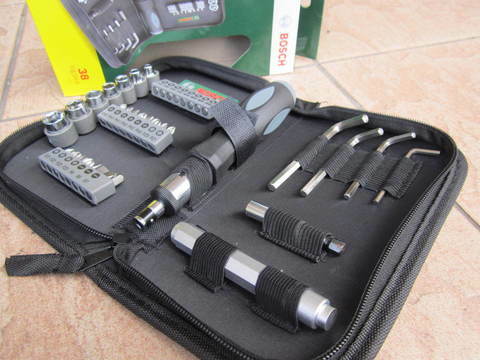 Ideal for fixing, repairing and mounting jobs. 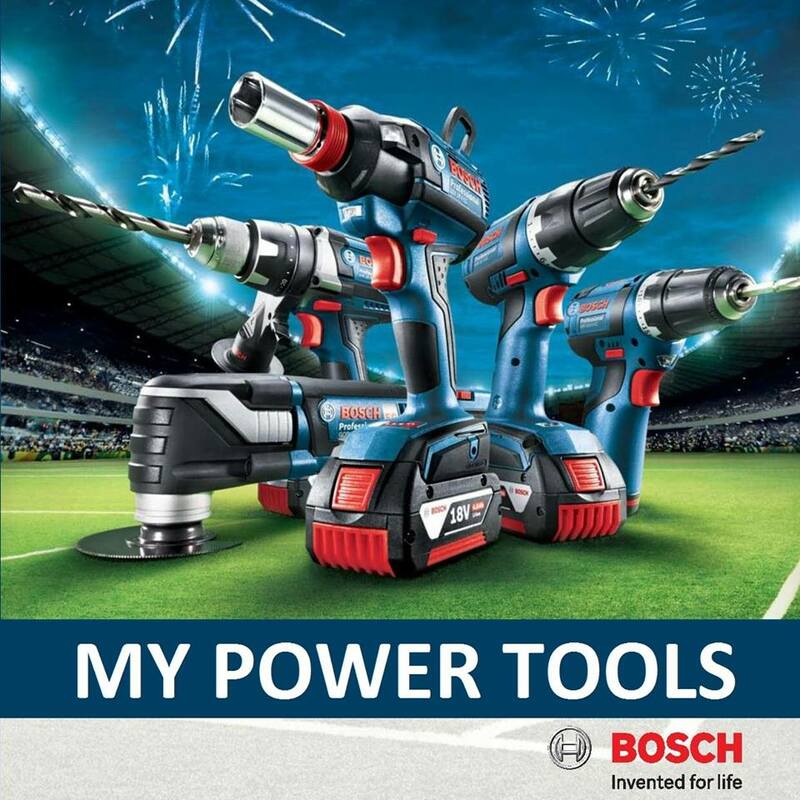 .DIY with Bosch quality: Screwdriving made easy. 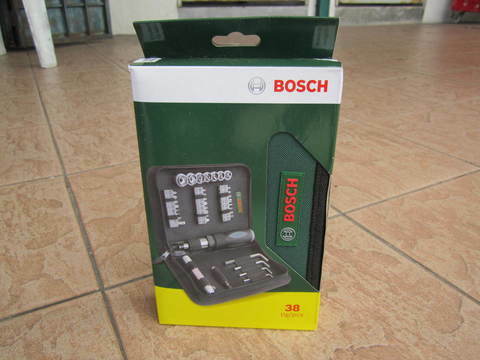 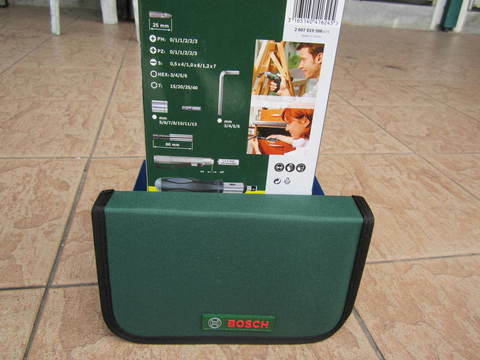 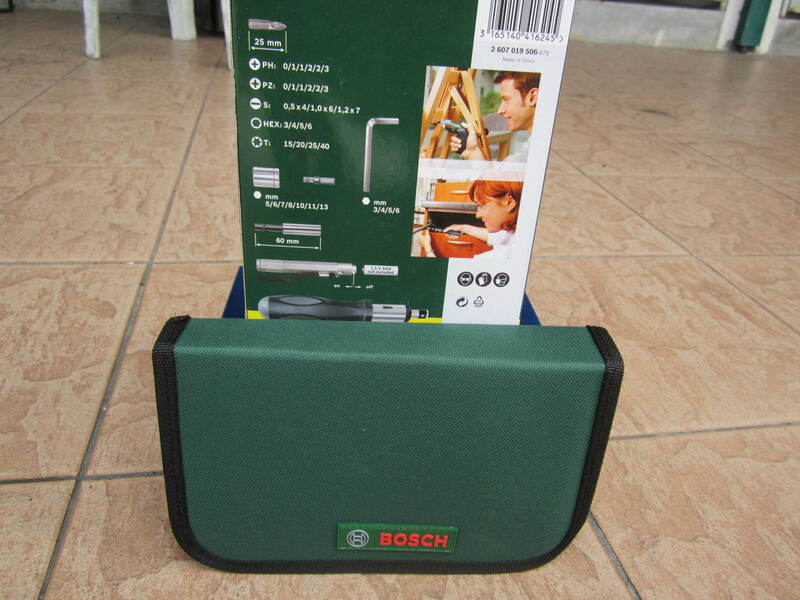 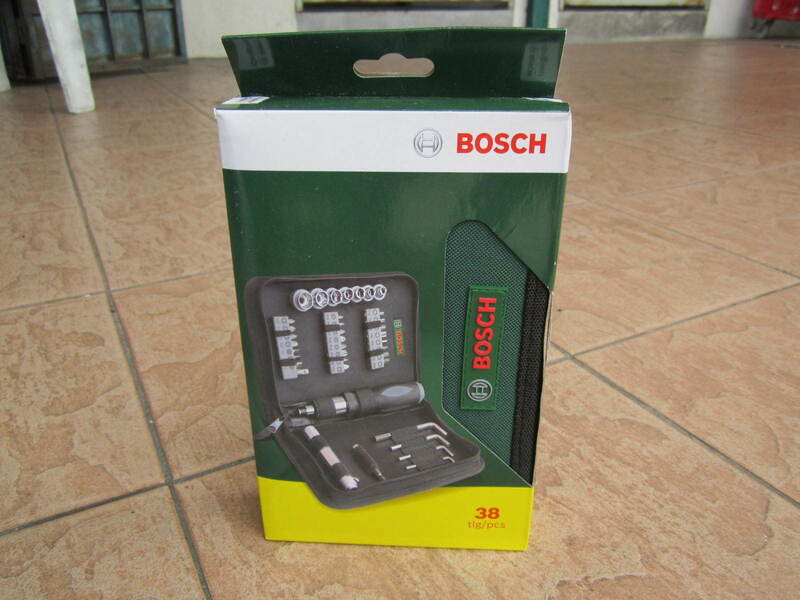 PRICE RM59.00..(Bosch Invented For Life)..